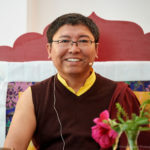 Really, to do dharma practice, you need to be honest with yourself and be able to appreciate what it is you are doing. True honesty and appreciation give you confidence in life. Planned giving is a way to provide a gift or bequest from your estate to the Pundarika Foundation by including a specific provision in your will or living trust, or by naming Pundarika Foundation as a beneficiary of a retirement plan or life insurance policy. 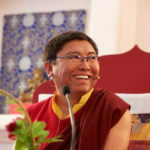 The virtue of a bequest is that it costs nothing now yet provides future resources for the humanitarian projects of Rinpoche; you retain control of your assets during your lifetime; and you can modify the bequest if circumstances change. A bequest can be made for a specific amount, for a percentage of your estate, or for all or a portion of what is left after you have made bequests to your family. To make a gift to Pundarika from your estate, you must sign a new will or trust instrument, add a codicil to your present will, or make an amendment to your present trust instrument. Alternatively, you can designate Pundarika as a beneficiary of your retirement plan or life insurance policy. To do so, contact the retirement plan administrator or life insurance company and complete the appropriate beneficiary designation form they require. 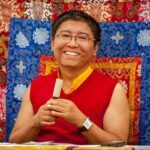 An unrestricted bequest allows Rinpoche to determine how to use the funds based on his most pressing needs. A restricted bequest directs assets exclusively to a specific humanitarian project that you choose. This can be in the form of an endowed or expendable fund.